Reports have claimed that Fuchsia OS will be an all-in-one operating system that replaces Android entirely, as well as power PCs, over the next half a decade. We take a look at what exactly it may bring to the table, and how this may affect us, the users. The story of the rise of Android OS is best told in parallel with the story of Nokia’s decline. Of course, when we say Nokia, we’re referring to the brand that once ruled the charts in the mobile phone segment. While Android was a struggling, work in progress project, the Nokia juggernaut ruled the world with an iron fist, making mobile phones that heralded the majority of the innovation in the pre-smartphone era. Looking back, however, Nokia probably rues its decision of ignoring Android just like Yahoo regrets its now-famous rejection of Google’s buyout plea. That said, the world that we live in today is a different one — where almost all mobile devices look similar in one way or another, and while innovation thrives within the clamshell bodies, it is no longer as outrageous as Nokia’s iconic lipstick phone. It is Android, and in turn Google, that rules the world today, and the reborn Nokia brand, although having seen a decent comeback, is a shadow of the empire that it once had. Take into account the statistic of global operating system market share — a StatCounter report states that as of December 2018, Android OS powers 37.86 percent of all computing devices in the world, higher than even the once-infallible Windows (which stands at 36.08 percent). That’s literally billions of devices under Google’s Linux-based, open source operating system. Google, however, has a major issue of fragmentation to contend with. Furthermore, its efforts of integrating Android in a modified form with Chrome OS has been a relative failure. Add to that the rise of the Internet of Things and the rising industry of autonomous cars, and Google has its task cut out in trying to ensure maximum developer support for all its platforms, with uniform user experience across all device formats. The task, as it presently stands, would seem near impossible. In spite of that, Google took on a seemingly massive project of unifying all its platforms under one umbrella. Probably started in 2015, Fuchsia OS has been in and out of news multiple times, showing glimpses in code repositories that keen coders across the world break down and attempt to make sense. While it still remains closely guarded, there has been some light that has been shed upon Fuchsia OS, and what it may stand for — and as you’d imagine, the implications are massive. To sum up a rather long answer very briefly — Fuchsia is Google’s attempt to take everything good from Android and its other platforms, and convert it into an all-in-one operating system. Going by codes, alpha previews and reports, Fuchsia is being built with the intention of completely replacing Android over the next half a decade. Furthermore, Fuchsia will reportedly run on a new, open-source microkernel named Zircon (previously Magenta), and not Linux. For reference, a microkernel is the very basic framework, a base of sorts, that allows the scope of building an entire operating system on. Building its own microkernel also allows Google to take over even greater control in terms of making it compatible to a wide range of technology forms, including phones, tablets, embedded systems such as smart speakers and IoT bulbs, and even in-car systems. It has also applied an MIT licence to the kernel, which gives it more control over what OEMs can do with it. Fuchsia OS, however, is undertaken by the BSD licence, which is standard for open source software and allows it third-party application compatibility under open source agreements. Hence, it is Google’s efforts to take the core of Android and build it into all forms of technology, while fixing Android’s biggest flaws such as fragmentation, non-uniform adoption, lack of close-knit hardware integration and security threats. Being built on an open source platform will allow the operating system to be adopted by practically any manufacturer in the world, which in turn gives Fuchsia OS the flexibility to be used by pretty much any gadget. In today’s world, this translates into a singular platform that can seamlessly connect apps, notifications and actions between your phone, laptop, car, watch, television and even your future refrigerator. And, while Fuchsia OS may be some time away into the future for consumers, it is making headway towards achieving universal integration. The proof can be found in the prototype Fuchsia OS devices, the way development has progressed, and how the interface has shaped up. From the looks of it, Fuchsia OS will integrate a substantial amount of desktop form factor, which will then see it being utilised by more than just low-power Chromebooks. Being an internet-first platform with cross platform developer support, Fuchsia can also make its way into smart hardware, which in turn will include compatibility for rival Apple’s iOS platform, as well as legacy support for Android devices (we cannot imagine Fuchsia being adopted virally). On this note, Fuchsia is also dubbed as a real time OS, one which is always connected to the internet, puts search at the heart of it, improves user data privacy to tantamount importance, and also uses voice-based input interface as the primary medium of interaction. In every sense, Fuchsia OS is the logical next generation of pretty much everything that the Mountain View technology overlord owns and does. ~2015: Google starts building team to create Fuchsia from scratch, beginning with the Magenta microkernel. This, in turn, was based on the Little Kernel — a very barebone base built by Fuchsia developer Travis Geiselbrecht way back in 2012. August 2016: A mysterious code base appears on GitHub, sparking rumours about an unknown operating system in development at Google. There’s very little to go on at this stage, except for a barebone command line interface. May 2017: First semblance of user interface for Fuchsia surfaces, with the Armadillo APK. It is not elaborate, but for the first time, gives rise to reports stating how Fuchsia OS may actually replace Android in the long run. Not much is still in the code at this point. In essence, this is Fuchsia 1.0, just like Android 1.0 from back in September 2008. November 2017: Support for Apple’s now open-sourced language, Swift, is added to Fuchsia. This provides hints of potential cross-platform compatibility, as well as extensive developer support that indirectly points at a multi-device software. January 2018: Ars Technica successfully manages to run Fuchsia OS on a Google Pixelbook. The procedure appears slightly comical, but gives us our first glance at Fuchsia’s graphical interface, along with a lock screen. Interestingly, it hints very strongly at an internet-first ecosystem with Fuchsia. February 2018: Ledgers added to Fuchsia, pointing at its all-in-one OS intentions. March 2018: ‘The Book’ is spotted, which is Google’s guide to the operating system. It is a very basic one as of now, with many pages to be filled in the long run. Google also deemed it necessary to write ‘Fuchsia is NOT Linux’, to avoid any confusion. Also detailed are some basic Fuchsia functions, along with its modular bearings. Flutter, Google’s cross-platform SDK appears in beta. Big month for Fuchsia’s scheme of things, as Amber — the unique, umbrella update system gets detailed. April 2018: Fuchsia’s screenshot tool and its graphics engine, Scenic, are described in detail. May 2018: The Fuchsia Interface Definition Language is detailed for the first time, giving developers a massive amount of versatility with its unique, five-language format. Also spotted for the very first time are Gauss and Astro, two prototype devices that Google is said to be working on. Initial guesses suggest the Gauss is an audio product of some sort, while Astro may also include visual technology to it. Both are powered by Amlogic chipsets. June 2018: Machina, Fuchsia’s built-in emulator, shows off how it can be used to run old systems on the new OS. This gives another glimmer at Fuchsia’s future potential as a desktop OS. July 2018: First report suggests Google’s ambitious, five-year plan of replacing Android with Fuchsia. In stark contrast, we find Google talking about serious privacy standards with Fuchsia, and find Cobalt — an integrated form of Google Analytics that will apparently be built into the system. It sure will be one lucrative data mine, if it indeed works out. October 2018: Turns out, the previously reported Astro prototype is actually the Google Home Hub, marking it as the first mainstream Fuchsia prototype product. November 2018: Support for Java is added to Fuchsia, marking another peg in widespread software compatibility. December 2018: The Fuchsia SDK is seen for the first time, giving developers a first glimpse at what they can do with the new OS. Subliminally, Google is challenging every single platform out there with its sweeping efforts with Fuchsia. For Google, this provides the core platform for its internet-enabled services, with (as mentioned before) Search at its centre. Google’s flagship Search product is a key revenue earner, and brings home light years of data with itself. With Fuchsia integration, Search will be accompanied by in-device analytics (a future rendition of the present Analytics platform, so far codenamed Cobalt) to provide you with targeted advertisements. These two alone can spell massive boom in revenue for Google. Furthermore, Fuchsia can exponentially grow Google’s revenue service. While it has already stated how user data privacy and security is central to Fuchsia, it stands to gain direct access to a much larger number of users, than what it does with Android. At the same time, its licensing format means OEMs will not be required to share the source code of their custom builds on Fuchsia, which is presently obligatory with Android. This, in turn, will please OEMs to an extent since they will not be forced to share source code. Developers, too, will rejoice at Flutter, and Fuchsia’s overall multi-device, multi-platform dimensions. 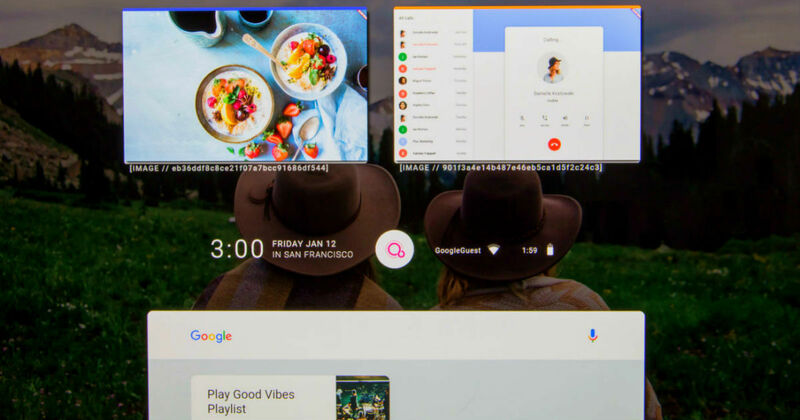 Essentially, for Google, Fuchsia OS will unite all device form factors, including cars, smart things, virtual reality gadgets, PCs and all other internet-enabled devices, while providing better security levels (thanks to the proprietary microkernel), cross-platform app compatibility and a unified interface that will give it simplicity of usage akin to Apple. Google’s primetime rivals’ claim to fame is its seamless OS integration, with iOS, macOS, tvOS and watchOS feeling like extensions of one another in some way, and apps functioning similarly as well. With Fuchsia, Google is aiming for exactly that, but on a much larger scale that targets the thousands of OEMs making billions of users globally. To sum up, it is Google’s five-year master plan to establish its network, while ironing out Android’s frailties. When it comes to Android specifically, the only thing that would really change for you is probably the interface, along with tighter integration of Google’s services similar to iOS. Google now realises exactly how vast the Android ecosystem is, and with it, the amount of revenue it can reap in if it starts pushing its fringe apps such as Keep and the Drive suite to practically every user. For instance, if Google offered you an OS with a neat interface that integrates Google Keep into the phone as a native service, synced with your email and calendar, you are almost certain to not download Wunderlist, ever. That’s the nature of added revenue that Fuchsia may bring to Google’s end, and the kind of app usage shift that may happen on your end. Android OS, meanwhile, is almost certain to be phased out and evolved into Fuchsia OS, maybe over the next decade. For us, this would bring devices with more frequent security and OS upgrades. The Linux-based AOSP has already seen much of Android’s essential code moved to Google’s Play Services, as a result of which tinkerers may not have as much fun in toying around with AOSP ROMs as before. With Fuchsia, the open source format would resolve that plight as well. It is as yet unknown if Google aims to keep Android alive in some way or another, and it is highly probable that it might. On the user front, however, Android is almost certain to make way, while leaving behind its core layout, app directory and a humongous base of users that is only set to grow.